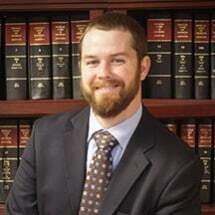 Located in Rome, Georgia, The Law Offices of Zachary J Burkhalter, PC, advocates on behalf of residents of Northwest Georgia who are confronting a variety of legal issues. Recognizing the need for high-quality representation at an economical rate, our principal attorney, Zachary Burkhalter established the firm in 2010. A longtime resident of the area, Zachary is familiar with the concerns of Floyd County citizens. In addition, he has substantial litigation experience in the area’s county court houses. As a result, Zachary can efficiently assess your legal matter and identify the most effective course of action to take. His local insight is one reason for his rate of success in court. When you contact our firm, you will be impressed with our personalized service, quick response time and comprehension of the law. Arrange a consultation at our law firm today. Spanish and English are both spoken at The Law Offices of Zachary J Burkhalter, PC. Zach is very knowledgeable and always willing to answer any questions I may have. His staff is equally amazing! They all have worked very hard to make sure that I had the best representation possible and did a great job keeping me informed along the way. The only lawyer I trust! Working with Zach was great and really appreciate the help that he gave in my case. I highly recommend this law firm for all your legal issues. Zach was prompt,new the law,and aggressive on our behalf. I will never hire anyone else but Zach! After a very negative experience with an attorney I was extremely reluctant to hire anyone much less trust them but Zach surpassed the minimal expectations I had and I will entrust him with any legal issue I ever encounter. Him and his staff handled dismissing issues during the case I didn't even know had arisen which minimized my stress. They worked with my schedule for contact and appointment setting and when I had an emergency Zach helped me handle it personally while on vacation. Zach and his staff are extremely committed to their clients and go out of their way to take care of you both in and out of the courtroom. He is not afraid to take a calculated risk, he's extremely knowledgeable in the law and how he conducts his business but I personally feel his strength lies in his natural ability to read others and his unapologetic professional confidence which gives him an edge.